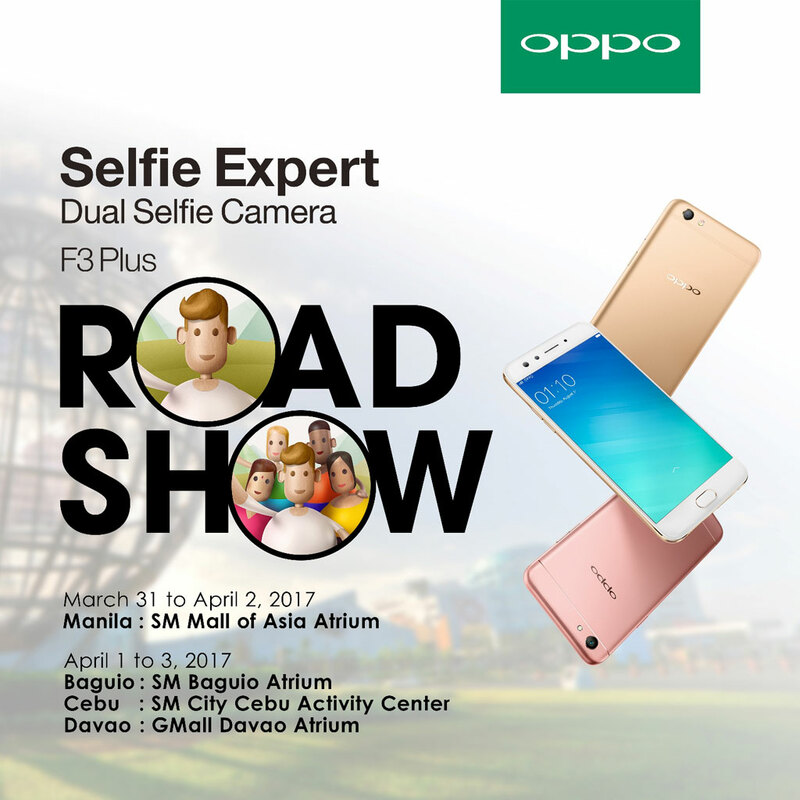 Global electronics company OPPO is going on a three-day road show across the nation including SM City Baguio, SM City Cebu, and GMall Davao starting April 1 to showcase its flagship dual selfie camera phone, the F3 Plus. The Manila leg of the tour at SM Mall of Asia will also begin a day earlier on March 31 to accept pre-orders. “The F3 Plus is a product of what people today demand from their smartphones. Because friends and family are always part of our special moments, we realized that our camera phones should also make amazing groufies just as easy as selfies,” OPPO Philippines Brand Marketing Manager Stephen Cheng said. From the most exotic cities to the great outdoors, traveling with your friends and family wouldn’t be complete without exciting photos to show off your summer getaway. A dual selfie phone like the F3 Plus makes for the perfect travel buddy if you want to capture your best vacation moments with the people you love. Paired with the phone’s 16MP selfie camera, the 120-degree-angle 8MP groufie camera lets you switch to “Group Selfie” mode to fit more people inside the frame. If you’re worried that your groufie would look messy under the summer sun, the F3 Plus also comes with OPPO’s Beautify 4.0 photo editing software so that every picture turns out fresh and flawless. Of course, vacation photos aren’t always about the travelers. With a 16MP rear camera customized for fast focusing speeds, you can take quick scenic snaps with little risk for blurring, especially while you’re on the go. With front and back cameras ready to take great summer pictures, you’d want to maximize your vacation by snapping photos until evening. To ensure clear image results no matter the hour, the F3 Plus is equipped with extra-wide sensors that brighten snaps even in dim light. The 4000mAh battery also provides more than 284 hours of standby time to let you keep using the phone throughout the day. The Philippine’s hottest celebrities are making an appearance at the F3 Plus road show on April 1 for the first-day sale. OPPO fans will get to meet Ella Cruz and Gretchen Ho at the SM Mall of Asia. They can also catch Janine Gutierrez at SM City Cebu as well as Kris Bernal at SM City Davao.